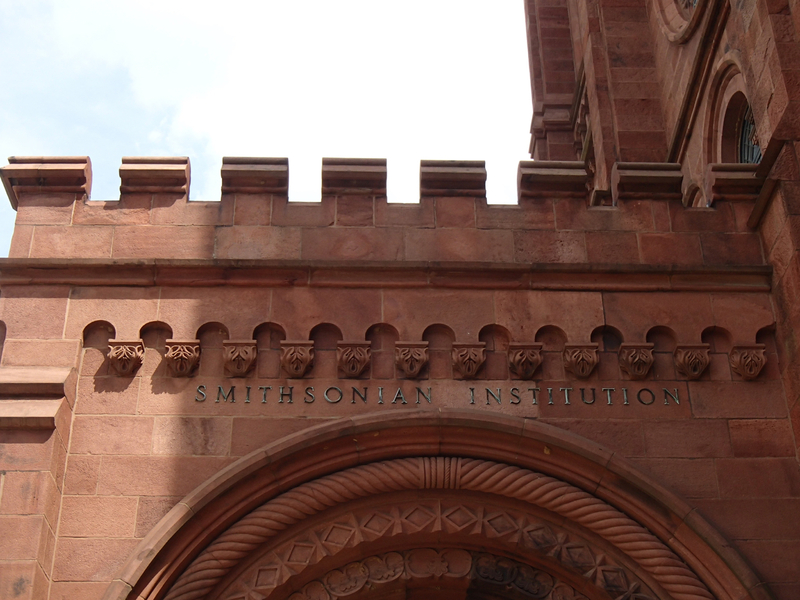 I know I've been in the Smithsonian Castle several times, but not sure if Mik ever has or just doesn't remember. I probably actually never took him inside, though, because I always just think of it as the visitor center and why not just go to the actual museums. Turns out it is actually a really great starting point to visiting the museums (or in our case just learn about Smithsonian history). There are two public entrances to the building (north and south). The north entrance from the mall has a ramp entrance to the right. There is a button to open these doors. Make sure it actual activates to open both doors as we scrapped through when it only opened one side. It worked fine on the way out, so it just seems it may sometimes get stuck. The south entrance is also accessible, but it involves a lift to get up the steps that are right inside the entry. 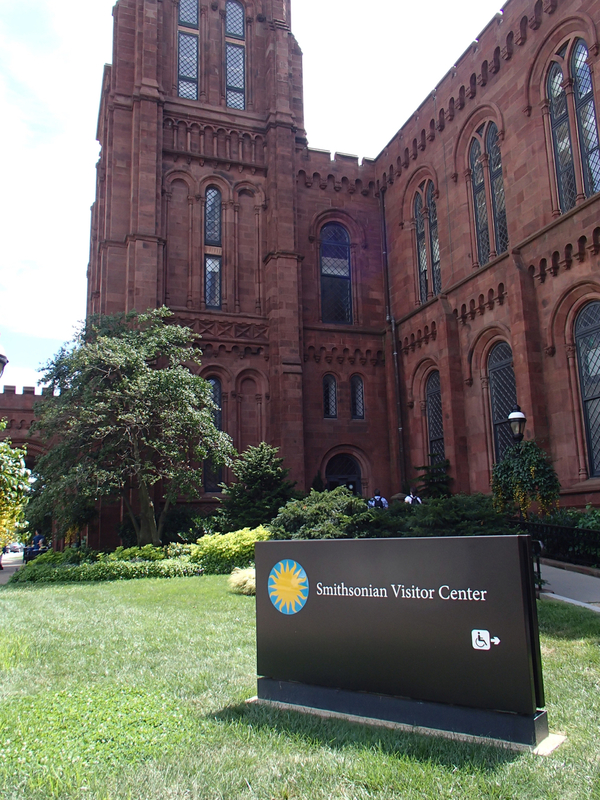 We got there around 12:15 p.m. and ended up taking our time browsing the "Welcome to Your Smithsonian" and "The Smithsonian Institution: America's Treasure Chest" exhibits in the west wing while we waited to do the 1:30 p.m. Castle Highlights Tour. We particularly enjoyed the "America's Treasure Chest" exhibit as it has a sampling of the items in the collections of the different Smithsonian museums. Mik especially enjoyed the sports case. 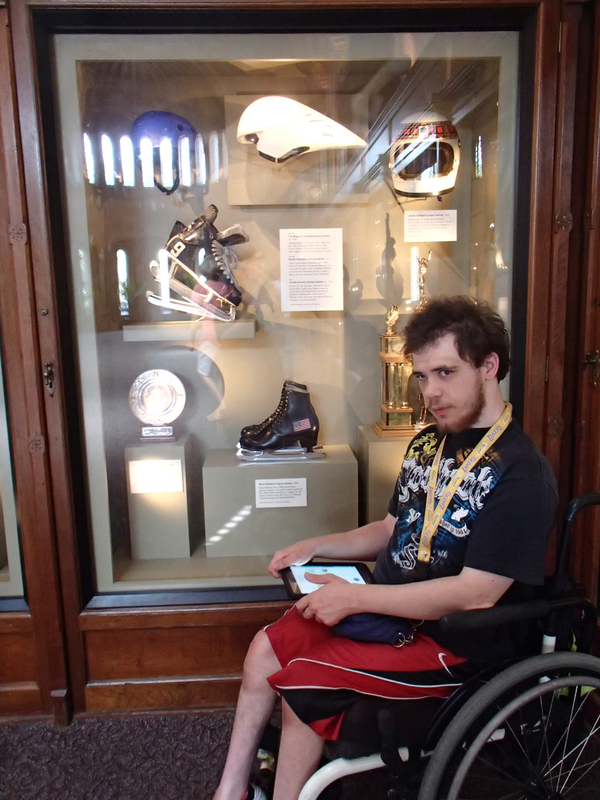 Mik was a little hesitant to wait around for the tour, but he ended up really enjoying it. 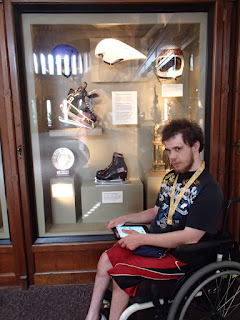 We learned a lot about the founding of the museum as well as the Castle's architecture. Also, while all the areas on the tour you can visit on your own, we would have missed some if we hadn't done the tour. 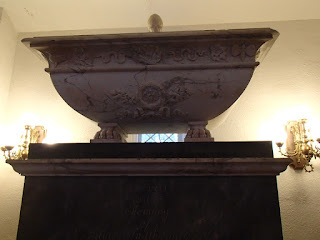 In particular, we probably would've totally missed the Smithson Crypt because we didn't know about it and you only end up walking by it if you come in the north entrance with steps. 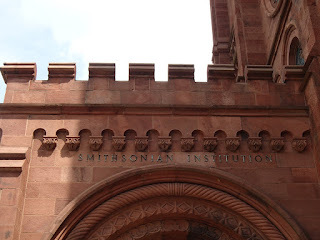 The Smithsonian Castle is probably the one part of the Smithsonian we aren't likely to revisit on our own, but it was definitely worth visiting once and likely a place we would start if we were with others that hadn't been before again.